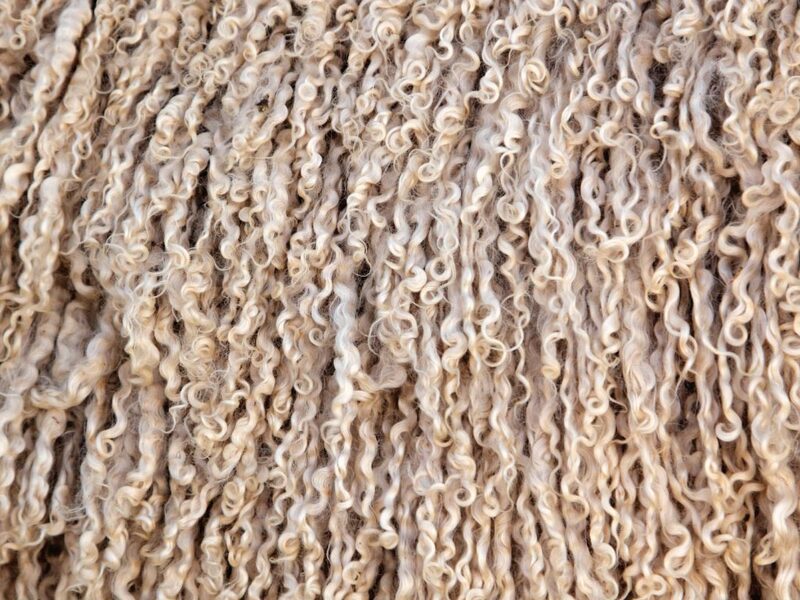 Despite a slight lift in volume of wool hitting the market this week prices managed to increase across most categories and centres. 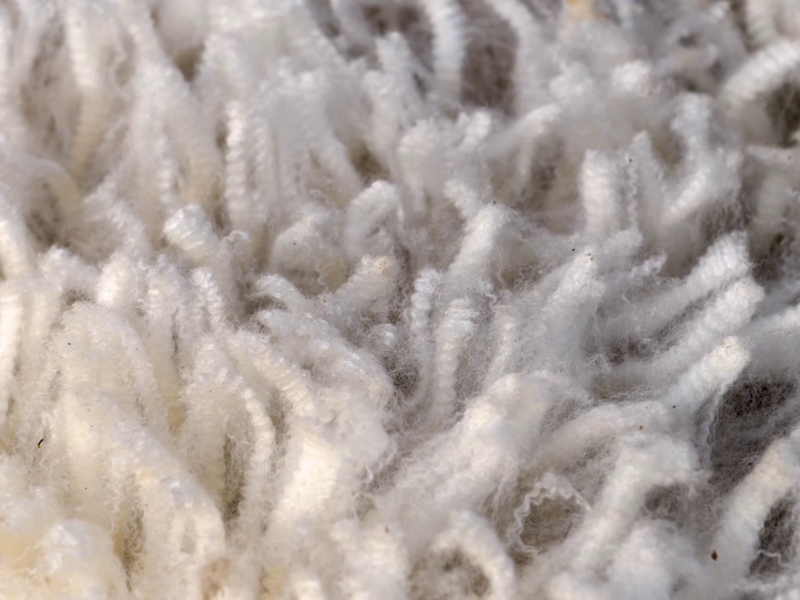 Looking ahead however, the roster indicates that the quantity of wool on offer is set to decline week after week. 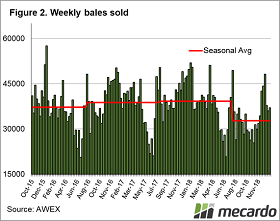 AWEX reports claim that the forecast has led many exporters to attempt to secure volume while it’s available and sparked more aggressive buying behaviour this week. 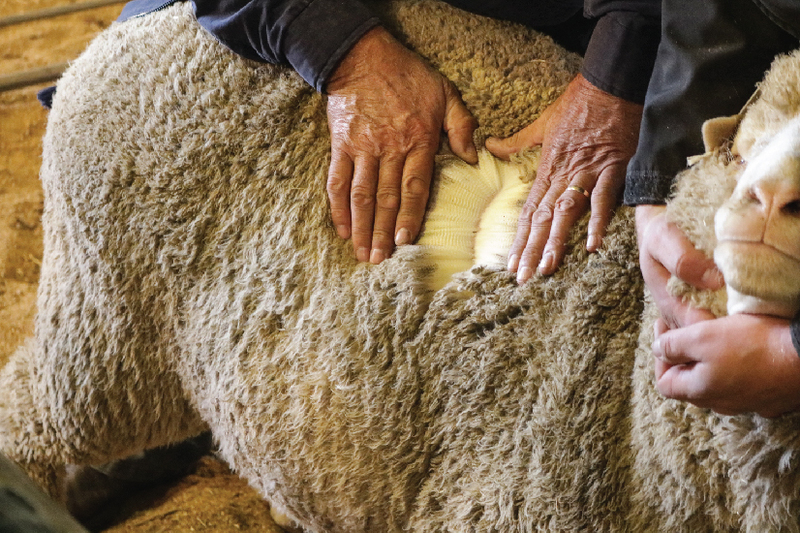 The Eastern Market Indicator (EMI) ended the first day of sales flat, but increased 10 cents on the second day of selling, finishing the week at 1,944 cents. Last week’s Au$ rally came tumbling down this week, to 0.709 US cents. 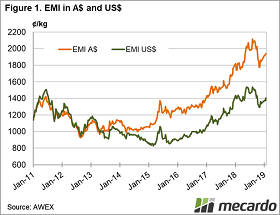 This saw the EMI take a harsh turn in US$ terms to close 25 cents lower at 1,380 cents.